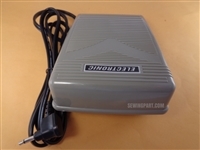 Brand New High Quality Electric Pedal Control And Cable for Motor Pedal Control . [BERNINA] - 2000DCE, 2000DE, 2500DCE . [ELNA] - 904DCX, 905DCX, 925, 925DCX, 945, 992, EL9010, PRO4DC, PRO4DE, PRO5DC, PRO5DE . 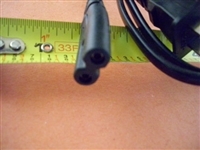 Please check the shape of the connector end.